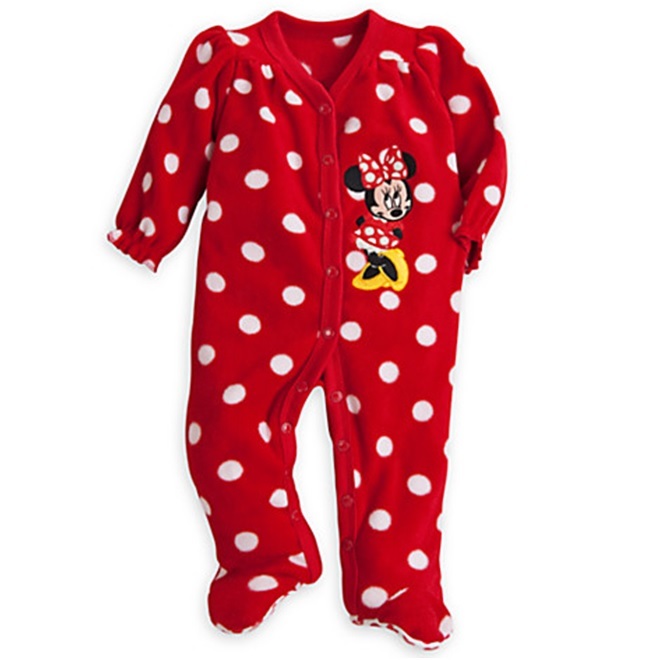 This cute mouseketeer outfit is the perfect gift for a baby girl. Features super soft, fuzzy microfleece with an all over polka dot print. It doesn’t get any cuter than the embroidered Minnie applique. Full snap front for easy on and off. Attached slipper feet so you don’t even have to worry about shoes and socks. This is why we love onesies! Not the mention the non-slip Mickey icons on the cute little feet and will look so adorable in photos too.